It can be frustrating to see your energy bill continue to rise every month and not know why. You’ve probably made the effort to make your home or business energy efficient, which means the rising cost of traditional energy is discouraging. What if you could save money, generate your own energy, and help the environment all at the same time? West Coast Solar offers a way to do all three when you make the switch to solar power. The switch to solar power is an investment. Although some may balk at the cost of solar, you will find the Solar Investment Tax Credit (ITC) helpful, offering up to a 30 percent tax credit until 2021. You can also find alternative ways to switch to solar like a Purchase Power Agreement (PPA) or a community solar project. Finally, if you produce enough solar energy, you may be able to sell it back to your energy service provider, which results in you making money to capture the sun’s rays. How nice would it be to have a reduced or non-existent utility bill? When you switch to solar power and “electrify” your home (change appliances, features, and other items over to electric), you will see your bill begin to decline in cost. You will also be helping the environment by reducing carbon emissions. 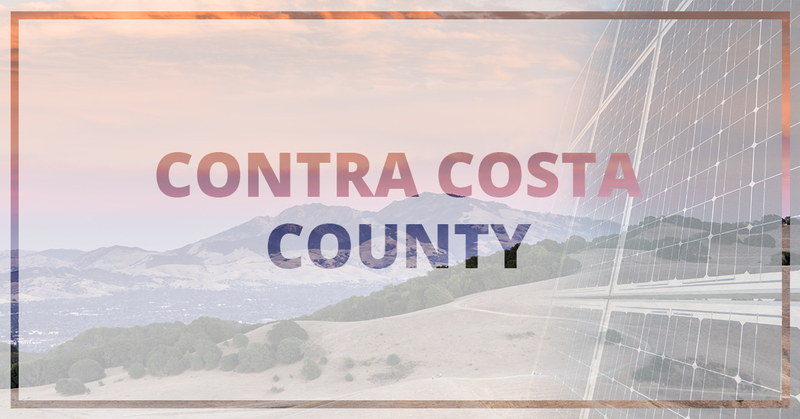 If you own or work for a business in Contra Costa County, consider going solar. Don’t have space? Find another company willing to commit to a Power Purchase Agreement (PPA). Whether you want to install solar panels on your property or purchase solar energy from another company, you can make the switch to solar. You will see substantial savings on your utility bill and help the environment at the same time. West Coast Solar is your solar power company in Contra Costa County. Whether you own a home or run a business, we can help you make the switch to solar power. Give us a call today so we can get started on your project as soon as possible!